Since the beginning of the year (and even a bit before that), our team has been hard at work preparing our plugins for the upcoming block editor release in WordPress 5.0. 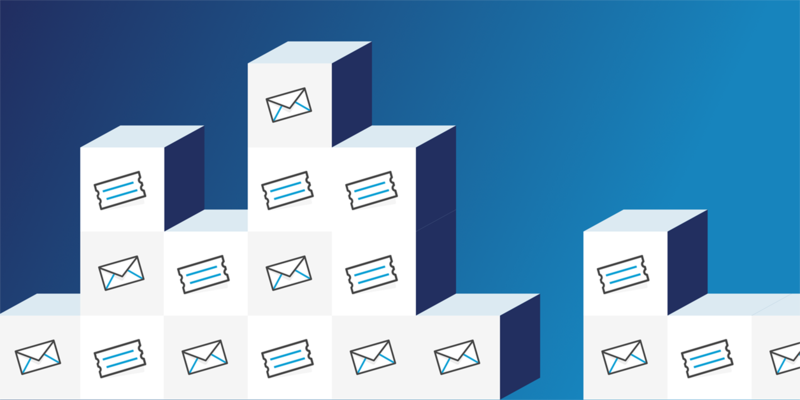 We’ve already released several event blocks in our Events Gutenberg extension and we’re proud to announce ticket blocks and RSVP blocks are now available! Below you’ll find screenshots of the design work for our new blocks. You can take ‘em for a spin on your own site by downloading our Events Gutenberg extension. Note: These blocks are only available when also running Event Tickets (and optionally Event Tickets Plus). 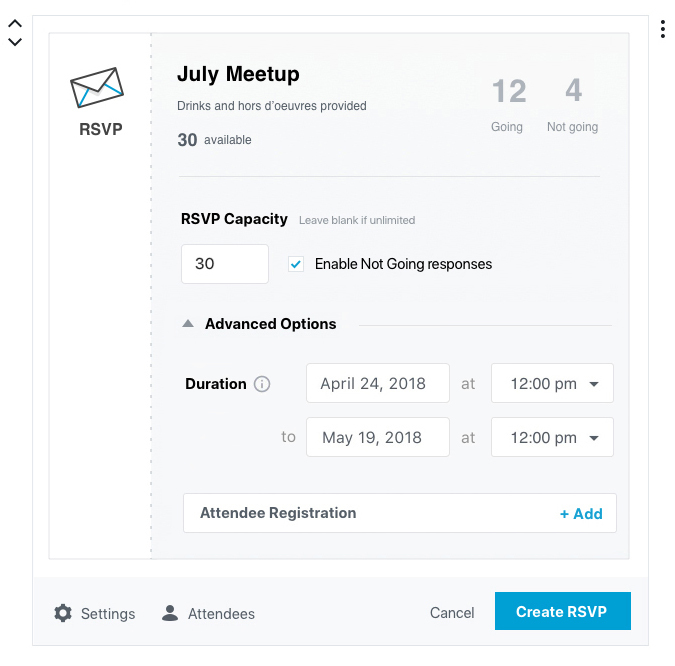 Our new Gutenberg RSVP block makes it easy for admins to add RSVP functionality when creating or editing an event, and even easier for attendees to snag a spot at your event when viewing it on your site. 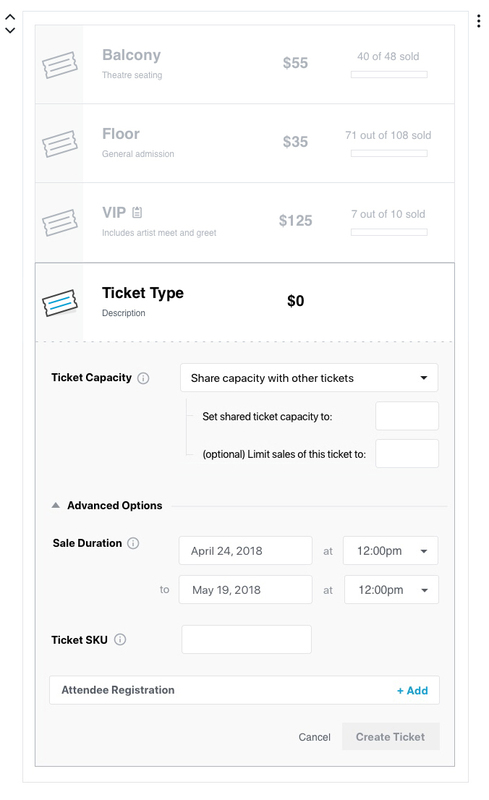 Creating tickets is a snap with our new event ticket block. 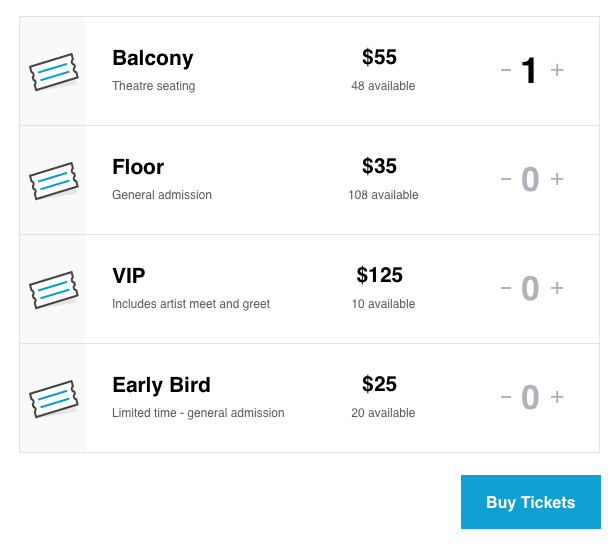 The main ticket options are available as soon as you open the block, with advanced settings only a quick click away. During setup, you can set ticket descriptions and capacity, and once sales have started, you’ll also see how many tickets have been sold. Visual parity between the edit screen and what your attendees see on the frontend makes it easy to create an optimized layout that increases sales conversions—no CSS or custom code required! Remember that visual parity we just mentioned? Here’s how it looks on the frontend when attendees view your registration page: same ticket order, same remaining quantity available, and (of course) straightforward options to select the number of tickets they want to purchase. This release is but the first of several as we steadily build block editor support across our plugin suite. Attendee Registration functionality, front-end attendee lists, and ticket/RSVP support for non-event post types are still under development to be included in future releases. As we advance our Gutenberg work to provide compatibility for all of our plugins, we’ll continue to share new blocks as they are released. Sign up here to get the latest announcements on our Gutenberg progress and other news from The Events Calendar delivered straight to your inbox.